What is an acceptable wait time? The answer to this question is a whole list of questions. Which industry? What department within the business? What product or service? Paying customer or customer looking for free support? What time of day? What day of week? What time of the year? A simple question generates potentially troubling replies from the targeted audience. Next we want to know the wait times for the different contact methods. Should chat and email wait times be same as voice? Should they be different from voice but the same as each other? Or should all three be different? The answer to the wait time questions really is from the business itself. Because there will be different targets and goals within the business the wait times will vary. Let’s take for example a call center that sells consumer products. A buyer is calling, sends a chat or an email for a product they wish to purchase. The business would like that contact to be replied to as quickly as possible or the potential customer will go somewhere else. Wait times for any customer contact method should be very short. According to Spectrum customers ten to thirty second wait times for voice, chat and email would be ok for most businesses. If this customer wants to return something they have purchased does the business have the same urgency? Of course not, the wait times can be considerably longer and it would not change the customer business decision. However, an argument can be made that if the business reacts quickly regardless of the transaction that business will earn a very highly positive reputation that can build their business. Spectrum works with many contact centers around the world that have voice, email, chat and social media as ways of contacting an agent. 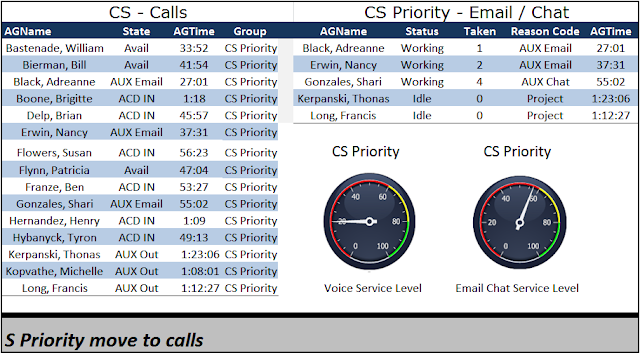 We have seen wait time thresholds set at many different levels for each of these contact channels. There is not an entire industry by industry set level. However, there are some good parameters that businesses use. Voice: On average the old 80 / 20 and 70 / 30 rule still seems to apply for most businesses. Please note this is not true for incoming new business where the 90 / 10 rule is demanded by the managers. I recall a meeting that I had with the head of a large contact center at a mutual fund company. We were talking about the wait times for incoming new customer calls. The IT manager has suggested and hoped that a 10 second wait time was ok for incoming calls. The contact center managers reply “To our business ten seconds is historical not real time. The lost revenue from potential customers in one day would be enough to pay for this phone system.” Now I know this was somewhat of an exaggeration but the point was well made. Contact centers have changed over the years and voice is no longer the sole contact method by customers. However, it is still a primary contact method that most people use today and quick response rates are not only preferred they are required. Chat: As stated above the wait times can, will and should vary by industry. Yet there is a trend that occurs depending on the age of the customer; the younger the customer the shorter the expected wait time. Of course that is not always the rule but it does tend to happen. An overall call center wait time for chat has been set at two minutes. This is not the time that the chat reply begins it is the time the chat is sent to the customer. A problem that has been building and continuing to happen with both chat and email to customers is the reply delay set up by the business. The delay is the auto reply and then followed by simple single level questions that could have been combined together to save time. The customer is pleased they are working with an “agent” but frustrated by the delays. Had the auto reply been more specific about the product they were interested in it would have saved time. These very similar type of auto replies extend the time needed before a real agent can join the chat. And the results can hurt the overall customer satisfaction. Of course conflict can also occur. But from the call center point of view it allows the agent to continue to work with other customers until they are able to end the chat. 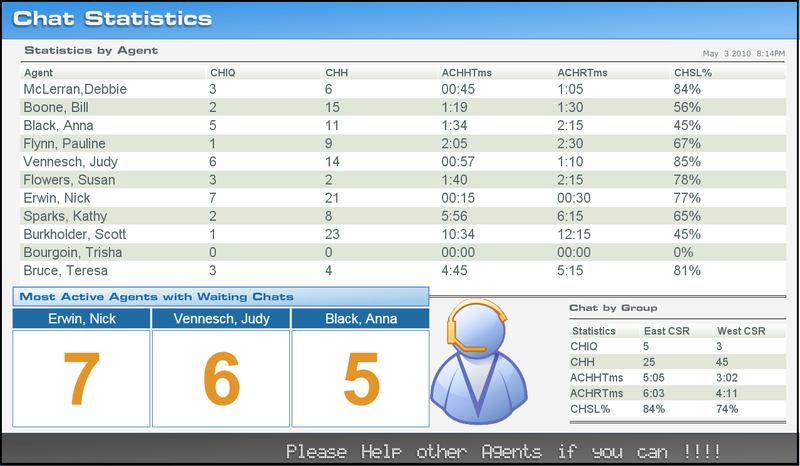 Spectrum has customers who use chat but do not use auto replies and they push the agents to respond within 30 seconds. But these are revenue generating chat contacts and quick response time is heavily desired. Email: The reply time to emails is difficult to truly track. 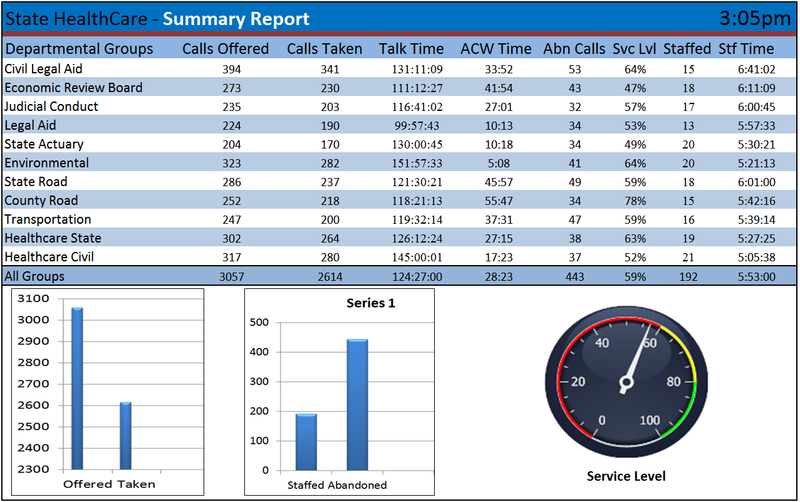 However, as a general overview Spectrum customers look for a 5 minute response rate. There are so many reasons why the five minutes may not happen that it is difficult to judge an agent for not meeting the threshold. A financial customer had mentioned to me that they reply to all emails as quickly as possible. If the email the agent has received is complex and difficult to clearly reply to the agents are guided down a quick to reply path. The response idea is to let the customer know they received the email, they are working on it and briefly explain what they are doing to answer the customer questions. A services provider customer has an auto reply that always suggests to the customer that they log in to the website and check their account online for faster support. Then after waiting 30 minutes they respond again asking if they can be of service. If the customer does not reply the email is closed and considered handled. Social Media: There is no response time for social media unless there is an agent who is responsible for the replies. A positive message about your business does not require an immediate response. A negative message may require an immediate response but it depends on the negative message. If the message is clear, concise and very specific about the problem then an immediate response can and will improve customer satisfaction. If the message is a generally negative message with foul language then a reply is not needed because any reply can build the negative view of the business. There are times when customers resort to social media to get their problems resolved. This is being seen more often in the utilities sector, some government and consumer retail. Customers that see a problem let the world know about it through social media. Call centers are following this and posting this information for the managers and agents to see and be able to react appropriately with the customers they are communicating directly to. A word of caution about posting social media messages, many messages that are captured and displayed for the agents to see contain foul language and can be very upsetting to some agents. Language filters do not always work. So prior to agreeing with the idea of posting all social media messages investigate the outcome of a very negative social media message. One challenge that happens in most call centers that offer the multichannel customer contact is the conflict. Customers call, go to the website and start a chat session and may send an email as well. A customer looking for fast answers can and do cause overall delays while agents multitask to reply to the customer.